We have talked more people out of working with us than we talked into working with us! Looking for a free estimate? We are happy to provide you an estimate! So how do we go about doing estimates? We do 90% of our estimates based on some combination of email, pictures, drawings and phone calls. We rarely come onsite just to do an estimate, if we do its usually for commercial/construction work where we need to do a site survey. We only do onsite estimates if we feel we will be highly competitive and stand a good chance to win the work, we don't have the time or desire to drive out for every estimate. As you likely realize at this point we are a small family business, we are usually booked 2-6 weeks out with work most of the year. To keep our prices competitive we do not have a dedicated sales rep, when you call you are dealing with the owners. Most customers don't want to wait 2-6 weeks to get an estimate so we leverage the power of modern day technology to speed up the process. For small projects we can usually fit those in somewhere between larger jobs. We do offer emergency services if possible (emergency rates apply). Still want to meet us in person first? Want to make sure we are real people (make sure we are honest and legit)? We understand completely and we can arrange a time for you to swing by or for us to stop by your place. In the mean time go read some of our reviews on google from our past customers, read our about page, or check out some of our social media. No, we are not interested in haggling over price. If you you feel our price is somehow out of line by all means raise the issue, we make mistakes and may have mis-understood the requirements. 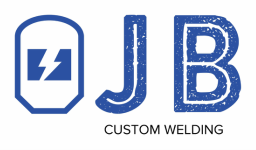 If you want the cheapest price for your project we are NOT the welding shop for you, we recommend you go look on craigslist for an ex-convict who bought a welder at home-depot. If we look good and the price looks good, next is paperwork. Once we agree on price we will draft up the official estimate for you to review and sign. Once paperwork is signed we put the project on the schedule.